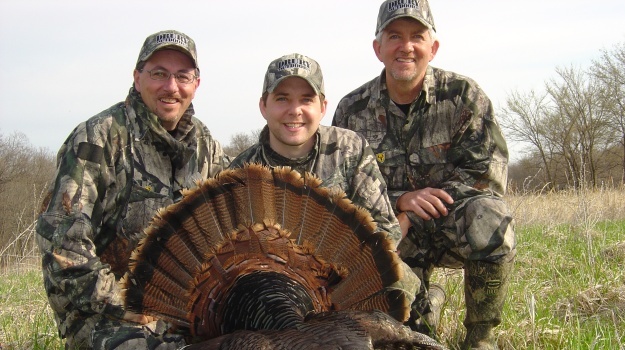 Editor’s Note: Mark and Terry Drury have been a part of the Mossy Oak family as long as there has been M.A.D. Calls and Drury Outdoors that produces videos and TV shows. But the history of the Drury brothers and Mossy Oak goes back even farther than the history of Drury Outdoors. Mark Drury was a salesman for Mossy Oak in Missouri, Iowa and Kansas while in college, but Mark did more than sell Mossy Oak camouflage. He was one of the early members of the Mossy Oak family. When Mark and his brother Terry founded Drury Outdoors, Mossy Oak was right there for them and with them. According to Terry Drury, “Some of our best friends in the early days were Toxey Haas, the creator of Mossy Oak, and his dad, Fox Haas, Ronnie “Cuz” Strickland, Bill Suggs and the late Bob Dixon. 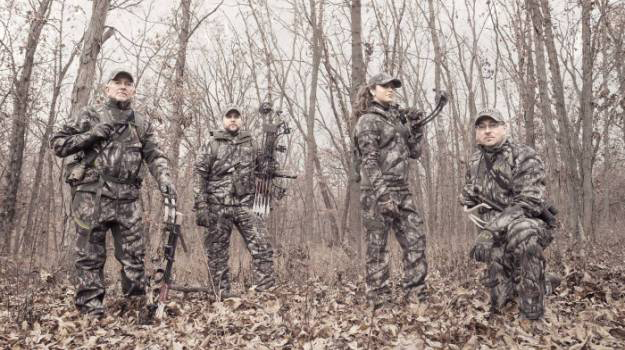 Our company and our family plans to continue with Mossy Oak, until we go out of business, or we pass away.” Drury Outdoors produces “Bow Madness,” “Dream Season,” and “Thirteen,” all TV shows airing on the Outdoor Channel. The company also produces “Natural Born,” which airs on the Pursuit Channel. 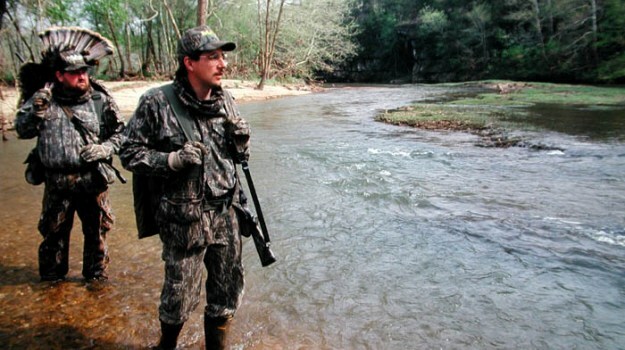 Also “King of the Spring” may return in the spring of 2015 on the Outdoor Channel. Phase one of “Thirteen” is titled, "In the Beginning” and runs from September 13 – September 25. At this time of year, not having much wind and having warm-to-hot temperatures are the factors that most impact deer movement. Here’s what we do. We study the most recent Reconyx trail-camera pictures we have, and we hunt the does. We never hunt in the mornings, and we never try to take an older-age-class buck during this period. Everyone needs to assess the buck-to-doe ratio of the whitetails on their properties every year before deer season starts. In areas with many more does than bucks, then you need to harvest does with a bow then, if your state allows harvesting does with bows. That’s exactly what we do. We try not to hunt anywhere we know a mature buck has been seen by our trail cameras, and we try to hunt the fringe regions of our property. EHD (Epizootic Hemorrhagic Disease) hit our deer herd pretty hard last year, especially our mature bucks. 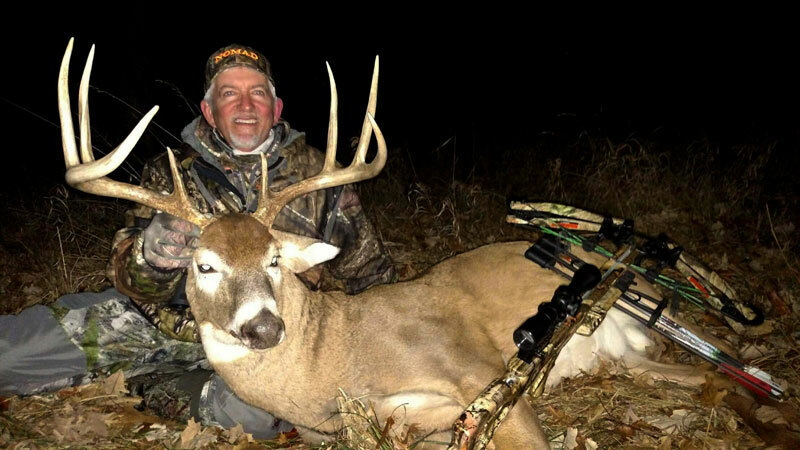 To balance the buck-to-doe ratio on our land, to sharpen our skills as hunters and to improve the accuracy we’re attempting to achieve with our bows, we use the “In the Beginning Time” of deer season to prepare to hunt and take older-age-class bucks. 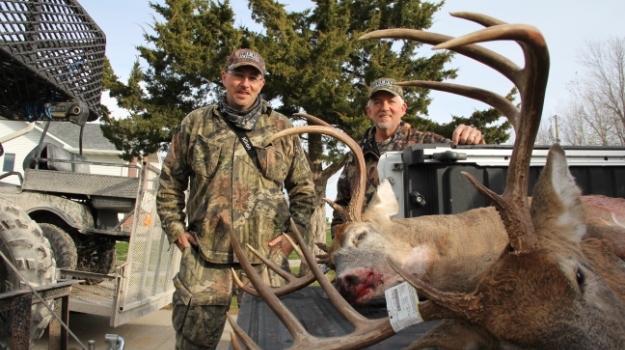 Many hunters prefer to take does at the end of the season after the bucks have finished breeding. However, we prefer to take does at the beginning of the season to sharpen our hunting and woodsmanship skills and also to reduce our doe population before breeding season starts. We don’t hunt in the mornings during Phase 1, because just before daylight and right at daylight is when the older-age-class bucks are moving. We’re more likely to spook them then than we are to harvest them. If your trail cameras don’t produce pictures of a mature buck moving during daylight hours, then you're almost doing more harm than good by hunting early in the morning. Here’s the exception to that rule. If an unusually cold front moves through our hunting lands, giving the mature bucks a reason to move, then we may hunt them. But at this time, the pictures you’ll most often get on your trail cameras will be from 4:30 pm until 4:30 am, which means you won’t have an opportunity to take them with a bow. When we’re hunting deer, Mark and I have our own Hippocratic Oath - do no harm. We feel you’re doing more harm than good for your hunting area, if you're walking around there and having your scent there at a time when you’re less likely to see a buck. Too, one question Mark and I often are asked is, “When hunting in hot weather, how do you keep the biting flies, mosquitoes, gnats and no-see-ums off you?” Mark and I both use Thermacell that puts out an odor that I’m convinced won’t spook the deer but do get rid of the bugs. If the bugs are going to be really thick, I’ll use two or three Thermacells. During Pre Lockdown, Phase 4, bucks are expanding their home ranges, their numbers of scrapes and the bucks working their scrapes increases. You’ll hear and see more bucks sparring. 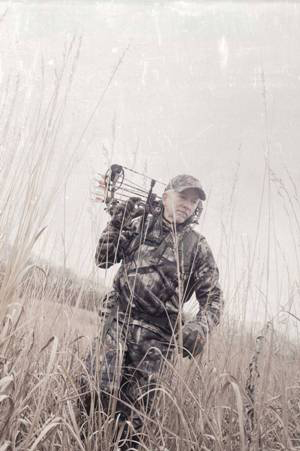 Big bucks are looking for the first doe that comes in estrus, and they’ll latch onto that doe. This is the perfect time to call deer. I'm almost certain the reason this buck came out and presented the shot is because we were hunting with cold temperatures and a full moon. We had a north-by-northwest wind, a bluebird day and a rising barometer about 30.28. All the conditions were right for bucks to be on the green fields. I’ve had terrible eyesight all my life, and Mark’s isn’t much better. We both wear glasses, and I’ve had Lasik surgery. But I’ve learned, once you start shooting with the scope and get accustomed to shooting turkey with a riflescope, you’ll become more comfortable looking through the scope.